Evie Blackwell is in Carin, Illinois to see if she can find any new evidence in a couple of cold cases in the county. Evie is set to become part of a task force to investigate cold cases and is spending her 2 week vacation in Carin to see if it is the direction she would like her career to go. Gabriel Thane is the local Sheriff of the county and willing to help Evie in any way he can in order to lay these cases to rest. As Evie steadily investigates she is able to come up with a few new clues that may help solve these cases and bring peace to the people involved. Dee Henderson! She still knows how to weave a story that manages to keep the reader turning the pages. While this new series is again not the suspense that the O'Malley series was, I think it is closer to her original writing style than her latest books. The story was interesting and kept a good pace throughout. I really liked all of the characters. I think that Evie and Gabriel had a great connection that I hope will develop into something more as the series goes on. Once again Dee Henderson brought in characters from past books, Ann and Paul make an appearance as does Rachel O'Malley. Ann has some good advice to spread around and while Rachel is mentioned as being there to help one of the characters I don't think she ever actually has a speaking voice. 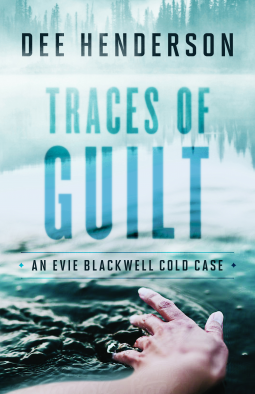 Evie is single-minded in her search for new clues, but also has a way of detaching herself from the case in order to not be burdened by all of the cases she works. I love the Thane brothers, Will, Gabriel and Josh are some pretty special guys! I'm definitely looking forward to reading more of this series. This is our book club selection for May so looking forward to reading it. Good review.